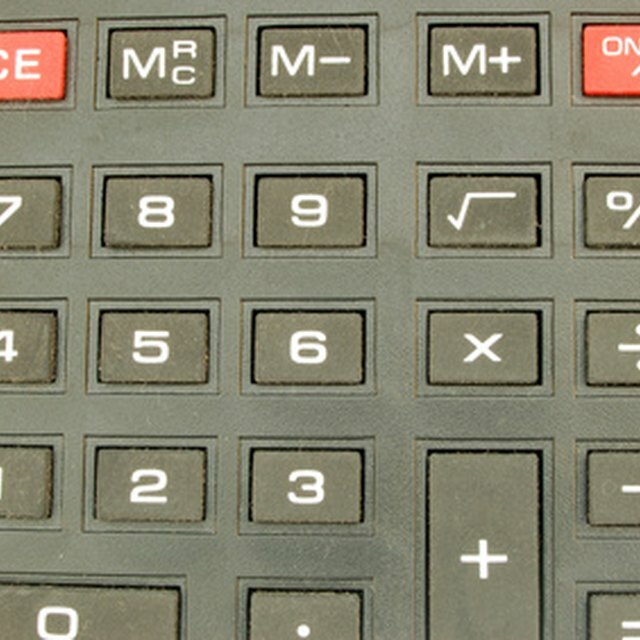 A printing calculator prints off every number you've typed once you press a mathematical equation button, such as a plus, a minus or an equals sign. This is helpful if you need to keep track of all your math but don't want to take the time to write it all out. Like any other object that prints, a printing calculator can run out of paper, in which case you need to feed the calculator a fresh roll of paper. Remove the used-up core of the old roll of paper. Holding the roll in place is usually a pair of outstretched arms coming off the calculator. They look almost like antennas reaching from the head of the device. Insert the paper roll onto the arms. There are grooves on the sides of the core of the printer roll that hold onto the arms. Connect one end of the paper cord to one of the arms, then slide the other side down to snap onto the other arm. You want the paper to roll out from the bottom of the core. Open the flap on the top of the printing calculator. This is usually removed by simply pulling up on it. Once opened, it exposes a series of gears and rollers. Thread the paper through the bottom of the rollers. Eventually, it is going to begin following the rollers, until it emerges at the top of the calculator. Snap the flap of the calculator back down to secure the rolled out paper into place. Begin typing, and the paper will roll out of the calculator, with the figures printed on the paper.